Ken Rouse and Bev Copen recently hosted a very special event for Ken’s two Little Brothers Ricky, 17, and Jesse, 11. 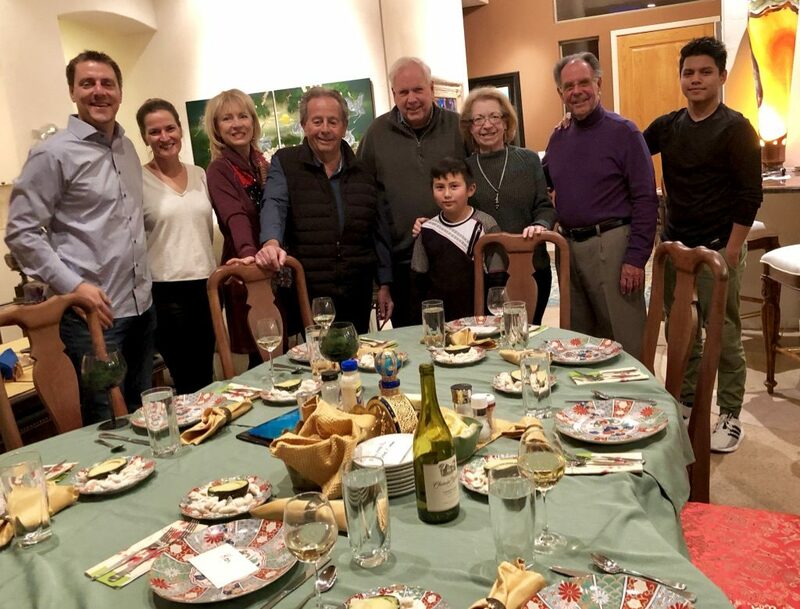 To showcase Ricky’s new skills he is developing in a culinary course, Ken and Bev invited three couples to their Oak Creek Village home, where Ricky and Jesse were in charge of the evening’s meal. 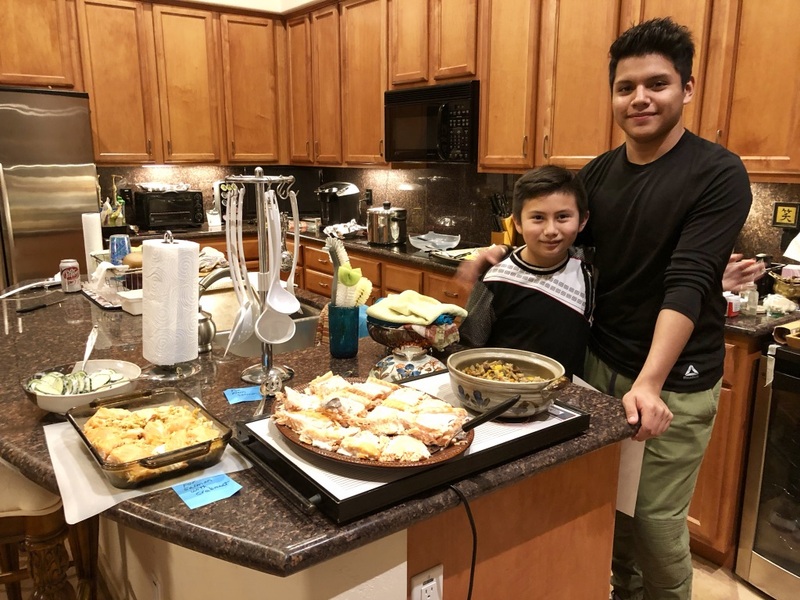 Ricky prepared a complex vegetable dish and Jesse brought a rico con leche dessert, of which he supervised his mom in the creation! 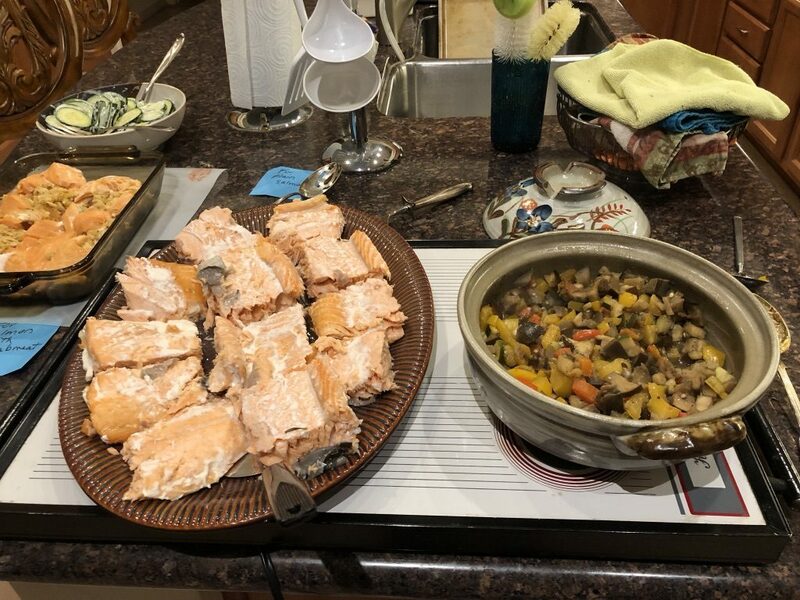 Bev provided ingredients for some extra dishes, while the boys prepared them. The Little Brothers came a few hours before the guests to get started in the kitchen. Bev then showed them how to set a proper table. The young men followed the evening through with prep, cooking, serving and clean up. “We were very proud of them, as were the guests, who especially enjoyed interacting with both Little Brothers during the meal,” shared Bev.